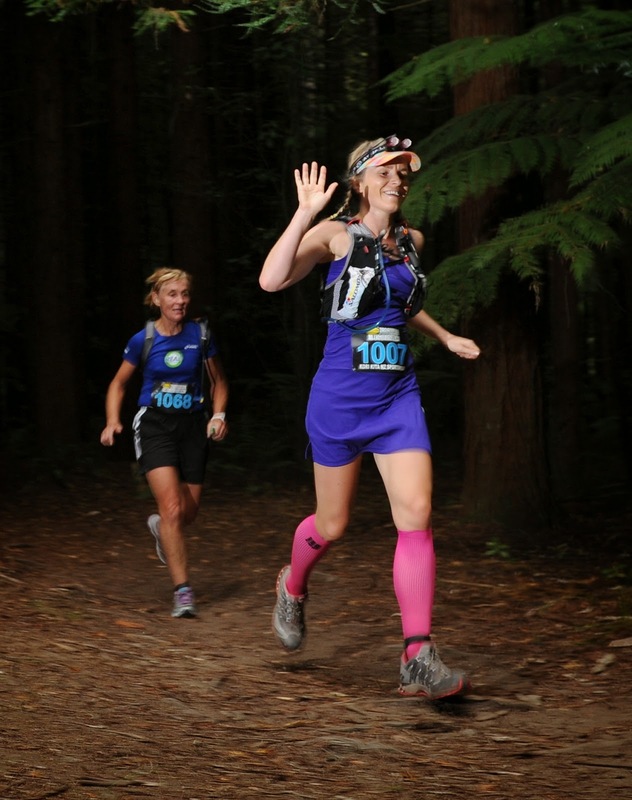 The Vibram Tarawera Ultramarathon is the pinnacle event on New Zealand's ultra racing scene. It's been on my list for several years and I finally got down to the event this weekend (albeit not racing solo). Several months ago I secured a spot on the Kori Kita Sportswear relay team thanks to Kate Townsley. I've had a couple of months off training due to injury so didn't mind too much to be running only 20km instead of the full 85km or 100km. Cyclone Lusi, however, changed everyone's plans as the message went around at 6pm on Friday night that the course would be changed and shortened due to the atrocious weather and danger of falling debris in the forest. 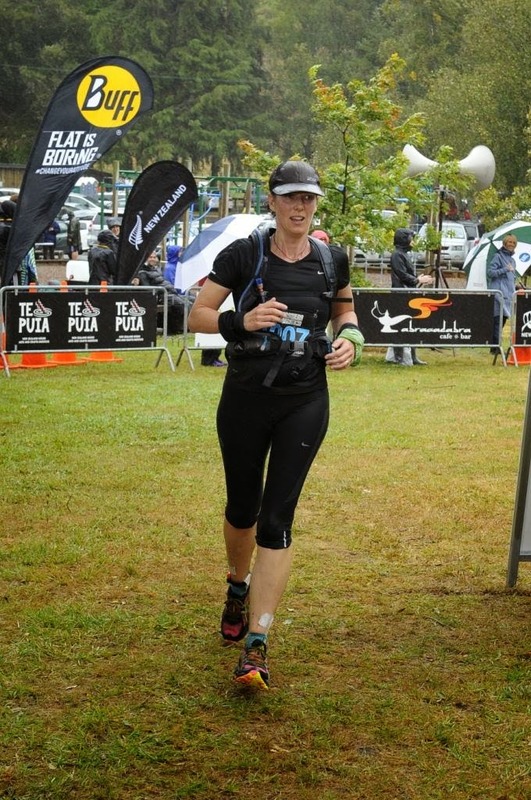 Instead of finishing at Kawerau, the run was now an out and back to Lake Okataina, finishing at Lake Okareka, with an optional 12km loop at the start. This meant the run was now 59km or 72km and the leg I had been going to do was cut out. 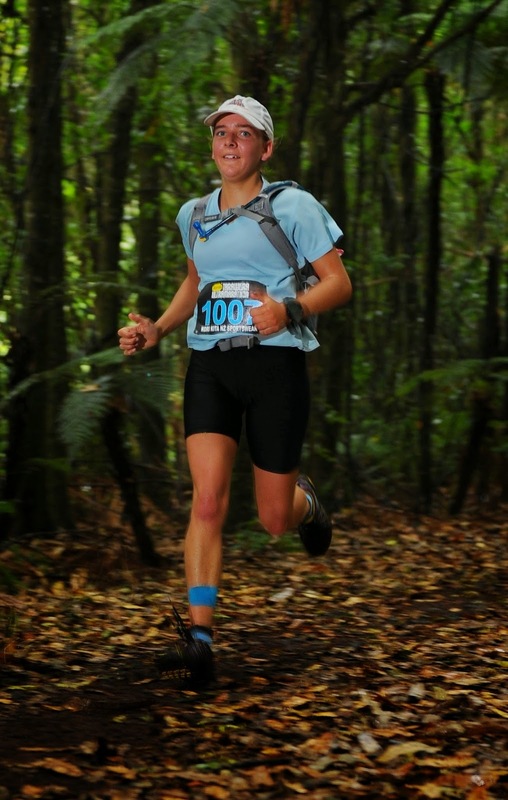 Instead I was now running the Western Okataina Walkway from Lake Okareka to Lake Okataina (18km). I found this weather-induced course changed slightly ironic as the last event I did in the area (The Big O) also had to be changed on race day due to the weather. The race kicked off before sunrise from the Redwoods just out of Rotorua with hundreds of headlamps bobbing off up the road. Kate ran the first leg for the Kori Kita team while Margo commentated as the first runners came back through the start line aid station after the initial 12km loop. 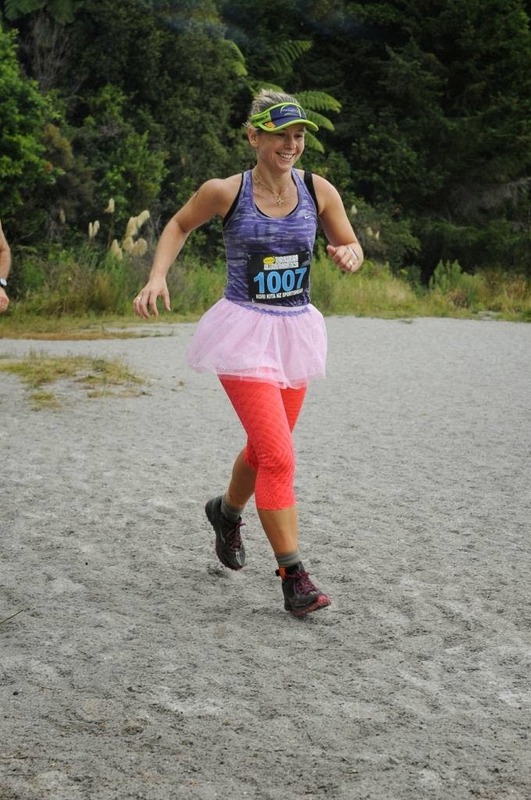 Once Kate arrived Margo put down the microphone and headed onto her 18km leg wearing a pink sparkly tutu & tights. Kate and I drove around to Lake Okareka (the second change over point), stopping off at the water towers on the way to watch some of the runners pass through. The aid station was right on the lake front and the wind was whipping down the lake which, combined with the light misty drizzle now falling, made it rather chilly for those waiting around. Once Margo appeared the transponder was quickly swapped and I headed off. The first 3km was road and gravel which served as a good warmup. The climbing began almost immediately but it was a fairly gentle gradient. After 17 minutes I reached the next aid station at the top of Millar Rd (this was the only one I would pass). From here on was nice single track which was interesting to run without being overly technical. Because I had fresh legs I was continually passing people and managed to run continuously for the first 50 minutes until a short steep section slowed me to a walk. The track kept working its way up and for the most part was runnable and slightly undulating, although I did walk several parts. This run was a training run for me, so I pushed fairly hard to see where I was at after a couple of months off and was pleased with my performance. The conditions were perfect for running - nice temperature, very light drizzle, and a dry track (at this stage!). I smashed out the long downhill towards the Okataina outdoor camp and from the junction which marked 3km to the camp I absolutely hammered it as I knew it was all downhill to the lake. Running in to the aid station I looked around in vain for Kate but was told that we had to carry on along the Eastern Okataina Walkway before returning to the aid station to change over. This took me completely by surprise but I took it in my stride and headed back out without knowing how much further I would have to run (4km). This section of narrow single track was a little tricky as there was a steady stream of runners in both directions. Coming back into the aid station I still couldn't find Kate so I walked all the way through the station and back before spotting her. The only slight hitch was that our fourth runner, Tilly, was still in the toilets! After seeing Tilly off on her way back to Okareka, Kate & I headed back to the finish line. For a couple of hours we stood in the wind and rain watching runners finish and chatting to other people we knew. Eventually we were cold and completely drenched as the rain had set in and the wind was howling so we returned to our hotel for a spa and hot shower to warm up before going back to cheer on the last runners. I had a fantastic run and really enjoyed it, doing about 22km in 2:16 hours. Considering I'd had almost 2 months off running I ran strongly and felt great. Look forward to returning in 2015 either as a relay or solo. A big thanks to Paul Charteris, all the organising crew and the volunteers who braved the storm for hours on end. 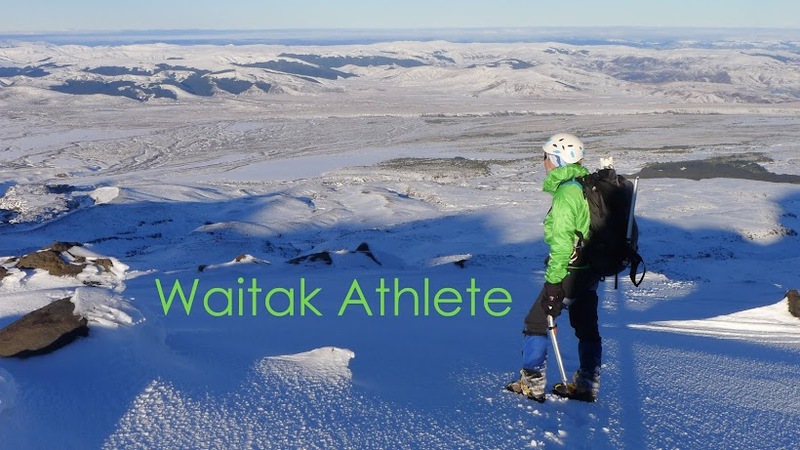 Thanks also to Kori Kita for the relay team, and to Allan Ure from Photos4sale and the other photographers who subjected their equipment (and themselves) to the appalling conditions.